Loving someone with Borderline Personality Disorder (BPD) can be confusing, intense and even painful. 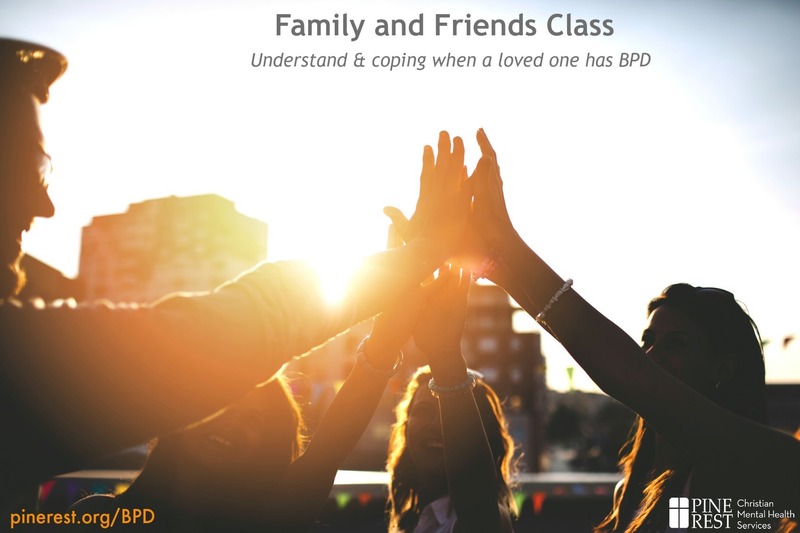 This 4-week educational series is designed to increase understanding of BPD and equip family and friends with tools for coping effectively. Participants will learn about the symptoms and causes of BPD as well as coping tools. Weekly sessions will be a combination of education and discussion. For your convenience, Pine Rest offers this class at its Traverse City and Northwest Clinic locations. Scroll down to see exact dates and times for both locations. Adolescents are allowed but must be 16 years of age or older. 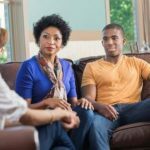 This class is NOT recommended for those with a family member in the Dialectical Behavioral Therapy (DBT) treatment unless they are also diagnosed with BPD, since this class is specific to BPD and not DBT. This program follows a 4 session curriculum with participants starting at week 1. Space is limited, so please call and sign up now! To find current Family & Friends classes, please scroll down to our Events section. If you have questions or need assistance enrolling, please call our Traverse City Clinic or our Northwest Clinic. For more information or to register, please call our Traverse City Clinic at 231.947.2255 or our Northwest Clinic at 616.222.3720. The Family and Friends Class, offered through Pine Rest's Traverse City Clinic, is a brief, 4-session educational series designed to increase understanding of Borderline Personality Disorder and equip family and friends with tools for coping effectively. The Family and Friends Class is a brief, 4-session educational series offered through Pine Rest's Northwest Clinic; designed to increase understanding of Borderline Personality Disorder and equip family and friends with tools for coping effectively.